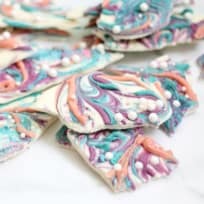 It only takes minutes to make this homemade version of the Lolli and Pops Unicorn Bark, and it’s just as sparkly and magical. It makes a super fun treat for parties too! 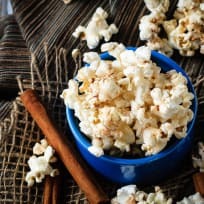 Cinnamon roll popcorn is a wonderful sweet and salty snack that everyone will love! It’s a great way to change up the usual movie night snack. Oreo Bark uses only two ingredients and is incredibly quick and easy to make. I highly suggest double-batching this one. People go crazy for it! Homemade Williams-Sonoma Peppermint Bark pretzels cost a fraction of the store-bought version and taste divine. Fantastic for gifting too! Candy corn trash is perfectly sweet, salty, and addictive. Set out a bowl at your next Halloween party and watch it disappear! Chubby Hubby clusters are a completely irresistible homemade treat. 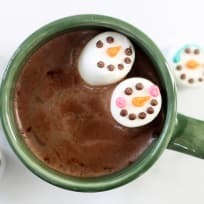 Make gifts for the family or devour them all yourself, but you’ve GOT to make them! Chocolate peanut butter pretzel bark is the sweet, salty treat you need in your life. Who could resist?! Peanut butter pretzel truffles are the epic combination of salty and sweet! 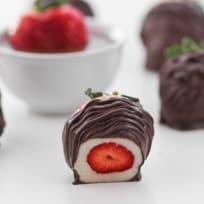 These decadent truffles are made with everything you love. Rocky road clusters combine chocolate, marshmallows, and peanuts for one amazing candy. Cravings, solved! This salted peanut butterscotch caramel corn bark is sweet, salty, and just darn perfect. Plus you can have the whole batch ready in under 30 minutes!